The yearbook staff is seeking more Middle School images to include in our yearbook. 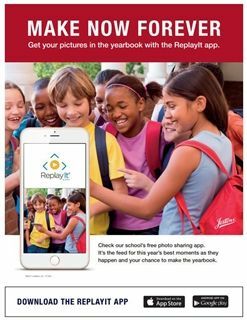 If you have a photo you'd like to see in the yearbook, you can email it to yearbook@casciahall.com or use the Replay It app to upload directly from your phone's photo library. Apple users: You can update and download the app from the iTunes Store here. Android users: You can update and download the app from the Google Play Store here.